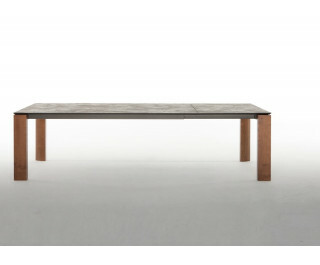 An apparently single top, easily extendible thanks to its butterfly extension mechanism; a ceramic table, and colors that can match the wooden legs’ simple and delicate lines. Choosing the perfect finishing for our painted ash wood, is just as simple as extending the top. Dada represents a vision of interior design, that focuses on essentiality – simple beauty is its most important feature.